Lyca Gairanod, the 9-year-old singer from Tanza, Cavite, has been declared as the first grand champion of The Voice Kids Philippines. The announcement was made at the show's grand finale Results Night held Sunday, July 27, at Newport Performing Arts Theater, Resorts World Manila in Pasay City. Both Lyca and Darren came from Team Sarah while JK was from Team Bamboo and Darlene was from Team Lea. During the Performance Night on Saturday, July 26, Lyca sang the Regine Velasquez hit "Narito Ako" in the Power Ballad Category and Carly Rae Jepsen's "Call Me Maybe" as her Upbeat Song. During the Results Night, she belted out "Basang-basa Sa Ulan" with the Aegis, the band who originally performed the song, in the Duet Category. 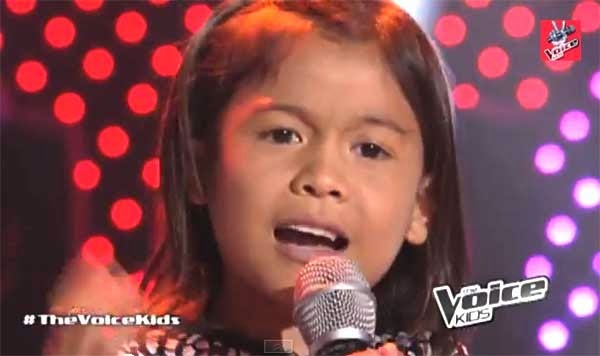 Viewers were surprised when Lyca Gairanod was proclaimed as The Voice Kids grand champion as it was less expected. Many were rooting for Darren Espanto to become the grand winner.